For the first time in program history, UNC Greensboro men’s basketball has reached the 20-win mark three straight seasons, as the Spartans on Thursday, (Jan. 31) defeated VMI 93-66 at the Greensboro Coliseum. This is the fastest the Spartans have reached 20 wins in a season as well, doing so for the first time before February. 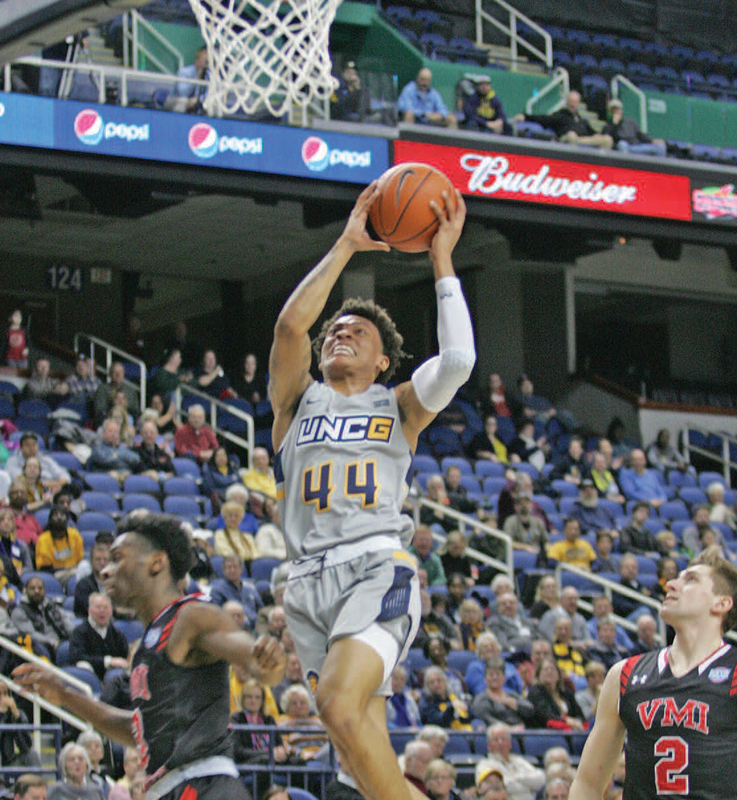 Additionally, this is the first time in program history that UNCG has won six games in a row on three separate occasions in a single season, as the Spartans have won their last six games dating back to Jan. 12. This is also the first time UNCG has accumulated a 9-1 record through its first 10 SoCon games. In the first half, UNCG’s Demetrius Troy, led in scoring by tying his season-high with 13 points on 5-of-7 shooting. He finished the game with 20 points, tying a career-high. In the second half, the Spartans outscored the Keydets 50-33. VMI was held to just 20 percent from three-point land after the Keydets made eight from behind the arc in the first half. During the frame, sophomore guard Isaiah Miller and senior guard Francis Alonso each scored 11 points. The Spartans will hit the road to face UT Chattanooga, Saturday, Feb. 9 at 7 p.m.